in the hands of Ticketbooth whether you’re expecting 100 or 100K visitors. Partnering with Ticketbooth gives you access to a comprehensive event marketing toolkit, along with our own experience and expertise in marketing some of the world’s leading events. Ticketbooth boasts a sales process that streamlines your customer’s journey, whilst maximising the opportunity to promote add-ons, upsells and package opportunities. 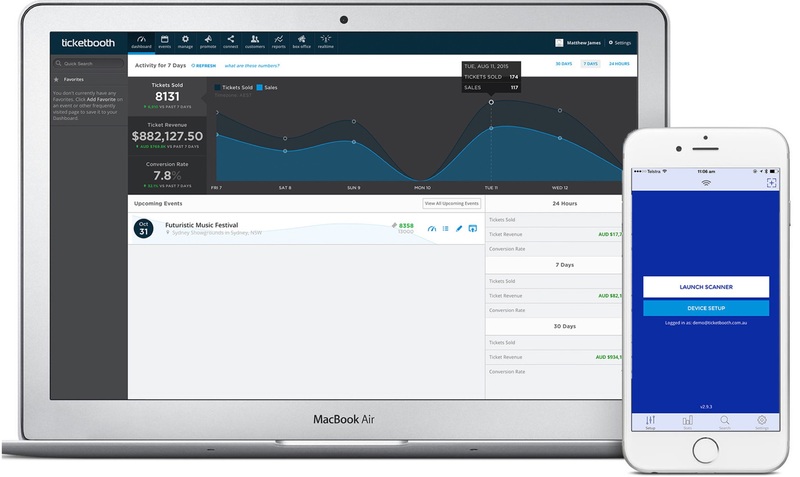 From creating events, managing inventory, or monitoring sales – every part of your event ticketing operation can be managed in real-time directly from your Ticketbooth admin portal on desktop, tablet or mobile. Ticketbooth helps you run your on-site event operations like a pro. Boasting powerful features to manage box office sales, ticket scanning and real-time visibility into your most important event metrics, you and your customers receive an optimal event ticketing experience from start to finish. Ticketbooth’s event admissions technologies have been perfected over years of on-site experience so we can ensure the ticket scanning provided by Ticketbooth is the most robust and reliable scanning solution in the ticketing industry. Ticketbooth serves events of every size and every type. Our online ticketing platform helps festivals, sporting events, concerts, exhibitions and club nights to sell more tickets and deliver a better customer experience. Mountain Sounds Festival was available to offer Payment Plan Options for their fans. With Ticketbooth “Book Now Pay Later” you allow all of your fans to purchase tickets, even the those on a budget. 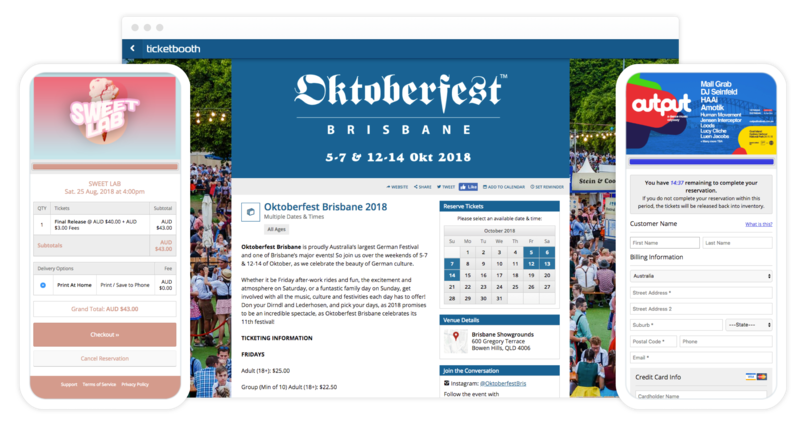 Vanfest benefited from Ticketbooth deep integration with Facebook and Instagram, allowing the organisers to leverage their advertising network and receive conversion data. Ticketbooth’s scanning hardware allowed Origin NYE organisers to have super fast ticket validation, stop ticket fraud, and have multiple entry points. Ticketbooth joined efforts with Rabbits Eat Lettuce Festival. We supported them with online ticketing, event marketing, staff training and onsite support. Rolling Loud Australia benefited from Ticketbooth’s tailored and flexible marketing campaign helping sell out their pre-sale allocation in hours and their entire event within a day, making their first ever Australian instalment a huge success. Find out why event professionals are turning to Ticketbooth to help promote, manage and sell out their events.